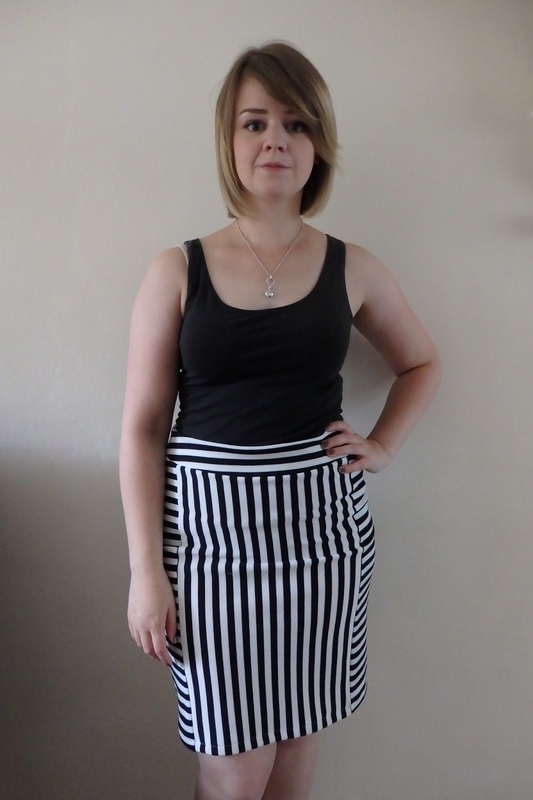 today i’m showing off my latest super quick make – the colette mabel. i bought this pattern a little while ago, but hadn’t done anything with it. when i couldn’t find my laurel pattern (bit of a colette theme going on here, i think they’re my favourite pattern company!) i decided to give it a try. 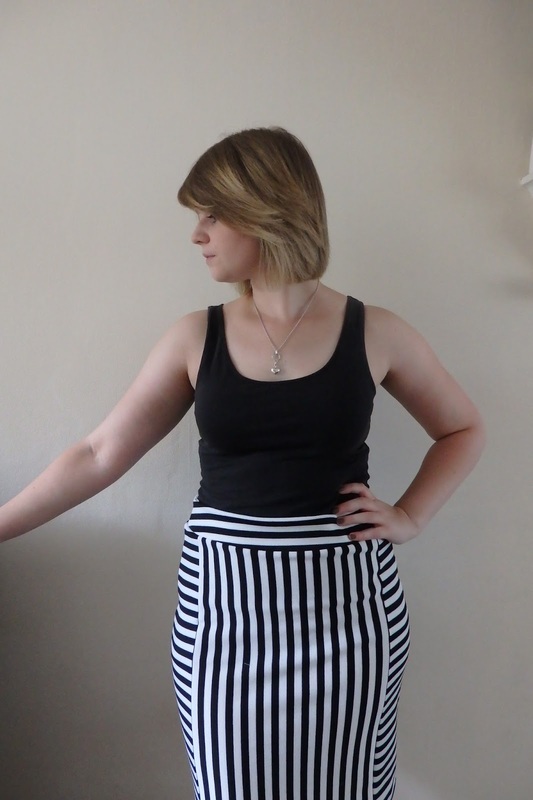 i chose to make the longer length skirt and made up the large, but i will definitely just go for medium next time. my measurements fell in between sizes and i didn’t want it to be too small but in hindsight, definitely a bit too big. however, this was only a trial run, as the fabric was left over from a moneta i made. i got 3m of this really thick jersey from the rag market for £6, meaning i’ve made a dress and a skirt for £3 each! the construction was really easy. i made it all up on my overlocker, in about 30-45mins. the only bit i used my sewing machine for was securing the cute kick pleat in place and the hem. 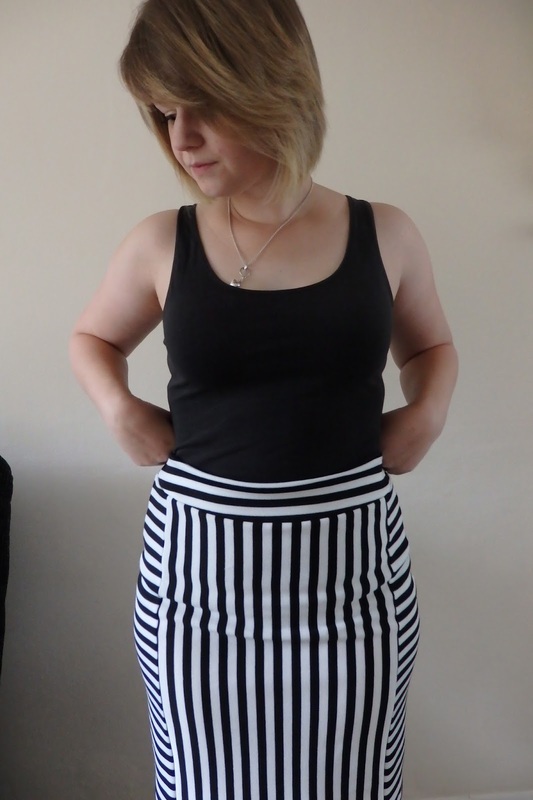 i think my waistband is a bit tucked in here, my stripe matching is much better than this normally! haha. i’m definitely going to make more of these, so good for work when i want a secret pajama day! i’ll definitely size down next time. i’m so ready to start a colette fan club, who’s in?! So pretty – amazing pattern matching there, too.